Guy: This week welcome to the show Penny Tralau. She’s got a company called Mould Rescue wherein she assesses your home and checks the mould condition and how to get rid of it. She shares some practical tips on how we can take care of our home and adjust our lifestyle moving forward to prevent moulds from growing. Hey everybody this is Guy Lawrence, of course, of 180 nutrition, and welcome to another awesome episode of health sessions. Where we’re constantly connected with leading global health and wellness experts to share best and the latest science and thinking. 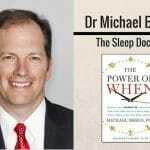 Empowering us all to turn our health and lives around. And this week we’re doing it on the topic of mold, and our awesome guest is Penny Tralau. 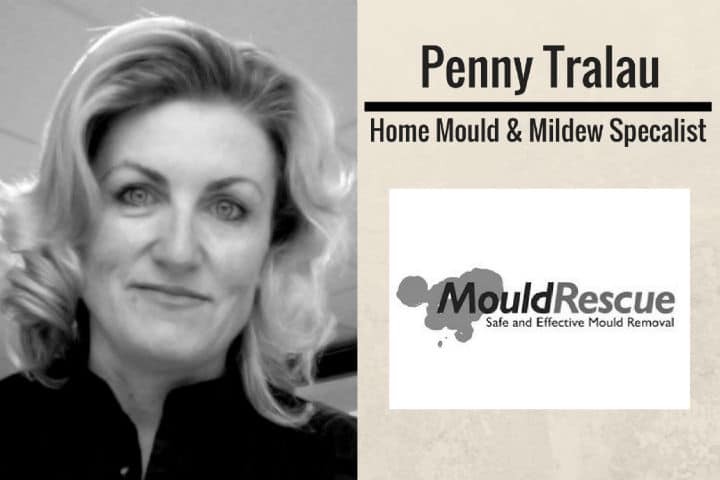 Now, Penny has got a company called Mould Rescue, and she basically goes into your home and assesses the mold situation, and what you can do about it. [00:01:00] This episode isn’t so much about the harmful effects that mold can cause on you, symptoms that can be related to around cold and flu symptoms, asthma, skin conditions and so forth. But this more of how we can start looking at our home. How we can adjust things moving forward. And how we can create prevention. And of course if you need to assess it even deeper, then somebody like Penny is perfect for that job. [00:01:30] So it was great to get stuck in and quiz Penny on all things mold today. I certainly learned a lot myself, and it’s a topic we’ve not covered on the podcast before, especially coming from this angle as well. So it was fantastic to hear what Penny has to say. And I have no doubt after listening to this episode of the podcast; you’re going to be looking around your home in a very different way, which is very cool. So it’s bringing awareness to this topic in general, which is what we wanted to do. So we’re very grateful for Penny coming on the show. [00:02:00] And I just wanted to mention as well, guys you might have noticed that we have currently got a promotion running, where we are giving free samples of our 180 super food protein blend away. 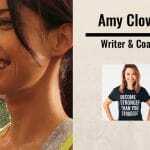 All you need to do is go back to 180Nutrition.com.au and there’s a banner on the homepage. You just click that, and all we ask is that you cover a small fee of shipping and handling. I’m sure if you’ve been listening to our podcast for a while, you know exactly what our super food blend is all about, and how to use it. And if not, the best place to start is with breakfast to help you cut out those processed meals and start with the smoothie using the 180. 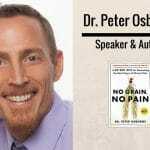 Anyway, learn a bit more because I promise you we’ve had thousands of people that are walking your path and we’ve had some fantastic results by helping people eliminate processed foods and eating something much more nourishing that’s got healthy fats, carbs, and good fiber of course, and a good source of protein. [00:02:30] Anyway guys, let’s go over to Penny. Enjoy everything mold and don’t forget, if you want a free sample, go back to 180Nutrition. com.au on the homepage, click the banner. Enjoy guys. Hey, this is Guy Lawrence. I’m with Stuart Cook, as always. Good morning Stu. Looking forward to this topic. We’ve not covered it on the show before. So I have no doubt it’s going to be very interesting. [00:03:00] So Penny, everyone I ask on the show at the beginning, is if a complete stranger stopped you on the street and asked you what you did for a living, what would you say? And what sort of reaction would you get from that answer. Most people look at me, blank me, and go, “What?” [00:03:30] They don’t know, so I have to explain to them that I assess buildings for mold. I look for causation, then I present my findings. We put a plan together to remediate and get rid of the mold. And then we put a plan in action to prevent it from coming back. My history is, I was in a corporate background. So I was always a project manager. And also saw, in large companies, doing large projects. And then when it was time for a change; I went out and did something else called water damage. So, flood restoration, so whenever houses have floods, overflowing baths, or leaky taps, or burst pipes, and all that sort of stuff. [00:04:30] But very, very quickly in that process, I was getting asked about mold all the time, and I knew people had no idea. So I then went across and did some study in the microbiology of remediation. Did some building science courses, understand … We have an industry called restoration. And the restoration industry covers things like flood, fire, mold, clean-up, meth lab cleanup, trauma cleanup. But I wanted to specialize in mold, because I knew that it was a difficult subject that people didn’t know how to handle. [00:05:00] So I went off and got certified, and now I’m one of four of the most qualified people in remediation in Australia. Okay fantastic. I was just going to say, it seems to appear that the mold seems to be coming back to the surface more. It’s getting more media. It feels like it’s getting talked about a lot more. [00:05:30] I think it’s because there’s a lot of, people aren’t aware how to live in their own environment. So they’re doing things in their own environment without understanding where this mold is coming from, why it’s happening. And sometimes it’s their own behavior, and they don’t understand that. So it’s not because they’re ignorant; it’s just because there’s levels of moisture in homes and building sites. Buildings are complicated, and we don’t always know how to live in them the right way. [00:07:30] Sometimes yeah, sometimes no. Sometimes people think, “You know what? I’ve been sick for ages. I get this cough that won’t go away.” Or, “My child is always sick.” And they go through many bouts to the doctor and nothings working. Then all of the sudden someone says to them, “Well what’s happening in your home?” And they go, “Oh I don’t know.” Then they see something on TV about mold, or they see something on the internet about mold, and they go, “Oh, I think that’s the issue in my house.” So then they call in people like me in to do an investigation and I do a full assessment of the house. [00:08:00] I have a little bit of mold in my home. I found some the other day, but I’m not freaking out about it, because I know my house is pretty good. But look, mold is microscopic. It’s between 2 and 20 microns in size. The spore sizes are tiny. They’re microscopic; you can see them under a microscope. So, just because you can’t see it; doesn’t mean you don’t have it. It also doesn’t mean that it’s bad for you. Again, we can do a lot of testing. So I can test the air quality of your home, or the environment that you spend a lot of time in, and we can check that way. [00:08:30] I often, one of the things that I do, is I look behind furniture, under beds, on top of kitchen cabinets, places that you don’t normally get to in your weekly cleaning. So just because it’s not visible, doesn’t mean it’s not there, but it also doesn’t mean it’s not bad for you, or it is bad for you, either way. We’ve got brain fog, coughing, wheezing, skin irritation, if you can smell it home … If you smell it, you’ve got it. Then it’s a complicated issue, and we need to check, how bad it is, and how bad it is for you. Definitely, you can get contaminated by mold by, contact to the skin, ingestion, and inhalation. But don’t forget we breathe mold every single day in our environment. The last thing I want people to do, is go, “Oh my god. I’ve got three spots of mold on my blinds. I’m going to die.” Because that’s not necessarily the case, and we’ve never liked to freak people out that way. Because that’s just an alarmist approach, and that’s not necessary, and that’s not the right thing to do. [00:10:30] They can be handy in a small cupboard, but what they are trying to do is absorb moisture. A better way of doing that would be a dehumidifier. So a dehumidifier you actually plug in. It can sense, you set it at say 50% relative humidity, which is your ambient moisture. And then what they do is it cuts in and out, and it pulls out the moisture as it needs to, and it keeps the moisture levels in the air low. So when think about mold you’ve got to think about moisture, but it’s not just physical moisture, it can be ambient moisture, so relative humidity. So one of the things it will do, is if you’ve got poor airflow in your home. It’s going to look for the pockets in your home, like inside wardrobes, and underneath beds, where it just is stagnant and stale. [00:11:00] So airflow, and keeping air moving, is important. And being cognisant of things like condensation on your window. It’s a huge amount of moisture. People go to me, “Oh my curtains or my blinds are really damp and moldy.” And that’s because they have condensation, but they don’t look at it, or don’t see it, or don’t manage it. [00:11:30] Yes, exactly right. And we get that here, just in our bedroom. Like if we keep the windows closed, there’s lots of condensation in the morning, so we open the windows a little bit, and we don’t get it. Penny: Exactly right. And sometimes, as I say, it’s as simple as that. Other times it’s a little more complicated, because every house is different. Is every case different, in generally where mold grows? I never even thought of being under the bed. The perfect environment for mold. Penny: The perfect environment for growing mold. [00:13:00] And you know what? If you’ve got a little tiny bit of mold in your window track, and generally you won’t see it anywhere else. Sure, get some detergent, vacuum it up, give it a bit of wipe down. But if you think that you’ve got a systemic issue in your home, get a professional in. Whether it’s me or someone else, get a professional in to come and do a proper assessment of your home, because I often find that there might be something else going on. It could be a water damaged building. [00:13:30] By water damaged building we mean, there could be a slow leak from the dishwasher, or there could be leaky windows, or there could be water ingressed into the house from somewhere. And people are trained to go looking for that, we hunt for that. So have a range of moisture meters that are very expensive. We have thermal imaging cameras, and we go looking for moisture in buildings. That’s it. I track that stuff down. A lot of common sense stuff in a way. Penny: A lot of common sense stuff, yeah. [00:15:00] Or if you’re using an unflued gas heater, gas heaters that are unflued put a lot of moisture into the air. Or if you’re using your dryer to dry clothes in winter, and you’re not keeping doors and things open, and of course your laundry is all wet. Things like that. Or a lot of people at this team of the year. They dry their washing inside, and I understand why they do it, but what that does, all that moisture evaporates into the air, and creates moisture content in your air, relative humidity. [00:15:30] Got it. It’s interesting, because when I lived in, this is years ago, 10 years ago I lived in a rented apartment in Auckland, and boy that place was moldy. It didn’t get any light. It didn’t really get any air, and we did put in a dehumidifier. We bought it from a friend, and we were pouring liters of water down the sink every night. It was sucking out so much moisture, it was insane. And it depends on which way it was facing, and whether the structure of the home already had some sort of issue … You don’t know. [00:16:00] But what I say to people is, “Clean, dry, light, and air.” Keep your home clean. Keep light coming in where you can. Let clean, dry, light, and air. So think about where you introduce moisture into your home. Whether it be drying, washing inside. Whether it be, you come in with canvas shoes and they’re a little bit wet, you take them throw them in the cupboard, or throw them under your bed. [00:16:30] Think about, you take off your jackets and your clothes. Are they completely dry before you put them back in your wardrobe? Yeah it’s common sense things that you don’t really give a second thought to. A lot of what I’m talking to people about these days, is things like how to manage your home and prevent it, rather than having to deal with it. Because if you’re cleaning your home in such a way that you find an issue when it’s small, easy to fix. As opposed to, you know the longer, [inaudible 00:16:55] the worse it gets, the more it costs. [00:17:00] So I tell people, apart from what you clean on weekly basis, which is what you can see, what you can reach, and what you’ve got time for, think about adding a little cycle. So once a month, pick something like, do the scooting boards. Do the, what are those things up on the ceilings? Do the fans. The month after that, do all your window frames. [00:17:30] You might find that adds one extra hour or two a months, but you’re cycling around the home and making sure that you get to things that you almost never see. So I say to people, “You never pull bookshelves out.” because it’s a huge bookshelf and it’s got all sorts of books, but once every so often, you need to. The big sized stuff, don’t do it every week, put it on a rotation. [00:18:00] Some customers I have, have decided on my suggestion, is that they pick a room every second month, and they do a bit of a forensic clean in that room. So one room every second month, the next room, and they pull everything out of the shelves, and the pull everything out of the cupboards, spend an extra couple of hours that month on that room. Absolutely, it makes sense. Pull a bed away from the wall, and all these little tight spaces. [00:18:30] Penny: So whatever works for you in your family, in your home, or with your kids, or sport, or job, two jobs. Whatever works for you. But what I say to people, “Get to know your home, intimately, more intimately than you do now.” But things like, do you come home from work in the afternoon, 5:00, 6:00, whatever time it is, and your towels in the bathroom are still wet from your morning shower? That a lot of time. [00:19:00] Right, so think about. Don’t leave the towels in there. Put them outside if you can, or maybe get a heated towel rail. Again, sometimes some of these little strategies are going to work for some, not work for others. But then we look for options, like talk to customers in their home and look for options that’s going to for them. [00:19:30] Many times, all the time. I’ve got customers like that almost every week, where I go in and we put a strategy together. I fix the existing issue, and then I guide them in terms of how they can best manage their home, and it makes a huge difference to their environment. [00:21:00] [00:21:30] It is worth looking at. There’s many things in your home. As I’ve said before, homes are complicated things. Mold is one issue, but when we look at indoor air quality as a whole, there could be many things that are effecting the child. It could be carbon dioxides, carbon monoxides. It could be other volatile organic compounds. A lot of furniture we buy from China and from Ikea, have bonding agents that have got formaldehyde in them, and sometimes those things off gas and can affect people, and they don’t realize. [00:22:00] So a lot of furniture we’re buying these days. I mean have you ever bought anything from … I bought a little box from Ikea a while back, and it stank, and it was the formaldehyde. It was to put some trinkets in next to my bed, and I couldn’t have it. I had to throw it away. It was only a $10 box, but it was full of formaldehyde. Yeah, right. Any of these items on your red alert list of things that we really need to be wary about bringing into our homes? I’m laughing when you say that, because I’ve done that. I’ve done that, and I’m just picturing the little pot of white spirit with my paintbrushes in, in the laundry on the shelf. It was smelly in there when I went into the room as well. Shut the door. [00:23:30] Exactly. You shut the door, but if there’s a small child that’s already been compromised in some way, or an elderly cancer patient, that’s going to effect them more than it affects someone with a strong constitution. No, I get it. Just take me back to those four things again. Was it, light, air? So, clean, dry, light, and air. Clean, dry, light, and air. ( silence) Penny: Sometimes, because and part of my industry, I’m qualified, certified to, structurally dry homes. So if there has been a systemic issue in a home where there’s been damage, and part of a wall, or floors are wet. Then we have to talk to customers about the importance of drying them out. Because you can’t have structure or substrate holding water, because anywhere there’s moisture, it’s a source of mold. [00:24:30] [00:25:00] So if there has been a system issue, or some sort of water ingress, behind the kitchen, behind the laundry, or whatever it is, or the roof been leaking, or the gutters have been leaking, we have to dry that structure out. So I talk to people about a plan. And you can’t do anything, obviously you have to see, you have to be very, very gentile with people sometimes, because you see that in their home. They invited you into their home, so you have to be very respectful of their home. Say to them, “These are things we need to do.” And sometimes people just go, “That’s just too much.” So we have to sort of break it down into manageable chunks, and do what we can, the best we can. I blame it on the dog, along with all the dog hair that is around my house. [00:26:30] One of the things that I say to people, in terms of their general cleaning routine, is, “Vacuum twice as much as you do anything else.” Vacuuming is like source removal. You’re pulling spores into a vacuum with a Hepa filter. If you’ve got a good vacuum, and you vacuum windows, doors, walls, skirting, door frames, your fans, vacuum twice as much you do anything else. Good tip, yeah. That’s right, yeah. “Use those attachments.” That’s what I say to people with these vacuums. Exactly, yes. Get on that. They’re there for a reason. Not just the big long stick. [00:27:30] I know, and you’ve got different types of tenent as well. You get the great tenants that really look after the place, and then you get the buggers that just don’t care. Exactly right. [00:28:00] I’ve seen tenants that have got six or seven people living in an environment that really is meant for two, because you’ve got to remember we all sluff off, and we all breathe out carbon dioxide, and we have showers. So if you’ve got too many people in an over occupied environment, where you’re cooking for that many people [inaudible 00:27:56] for that amount of people. It all sort of acerbates. I remember about 20 years ago, Penny, I was backpacking in Bondi, and I was one of 18 people living in a 2 bedroom apartment. I felt for the land lord. The other little myth I want to bust, is just because the mold is black in color, doesn’t mean it’s black, toxic mold. We have to do a lot of testing, and we can do the testing. It’s testing that obviously costs money, because we take samples using consumables. We send them to a lab for analysis. They get analyzed under a microscope by a micrologist in lab environment. That sort of testing would tell us what genes or family of mold, and how bad it is, right? [00:29:00] So there’s ways we can test your environment, but obviously there’s some cost involved in that, because it’s a lab and they don’t do things for free. But there is a way of understanding and testing. (silence) [00:29:30] Penny: [00:30:00] The top five myths are. Your home can be 100% mold free. You’re never going to be 100% mold free because we walk in and out, and the air exchanges inside and out every day. You open a window, air is coming in, and that air has got mold in it. If you can see mold, or smell mold, there is no mold. Or if you can’t smell it or see it, doesn’t mean you don’t have it. You’ve got it. It’s just the level that’s going to vary. Doesn’t necessarily mean that it’s bad. The other myth was that black mold is the only toxic mold that can cause illness. There’s many other types of mold. There’s hundreds of thousands of species. There’s quite a number of genes or family of mold that can affect people in different ways. [00:30:30] Yes, but we need to test to understand what’s in your environment. To understand what’s effecting you, and I wouldn’t make that determination. I would take the samples, get the testing, give you the results. You would need to see your doctor, because I’m not your physician, and I’m not going to talk to you about your immune system. So in terms I can talk to you about, yes mold is known for causing coughs and colds and all those things, but in terms of a specific case. [00:31:00] So things like bleach and vinegar is the answer. Bleach and vinegar are not the answer. Vinegar really doesn’t do anything. Bleach will only take the color out. So you might think you’ve got rid of mold, and it looks like you have, but you haven’t. What about Mr. Muscle Mold Off, Penny? I’ve seen that, and It’s claiming great things. So, and It’s claiming great things, but basically it’s a bleach. It’s a sodium hydrochloride, so it’s a bleach. [00:31:30] And what you’re not doing, is your not addressing the cause of the mold. The most important thing to understand in your home, is the causation. If you don’t fix the causation of the mold, or what’s causing the issue. Whatever you do, even if you’ve got me in to do it. It’s going to come back. Because it exists so. Yeah that’s a good point. Look, a house is like a human. It’s got to breathe all of the time. [00:33:30] Look, these days you would hope so, but not in all situations. No, some of the people that are building thousands of homes per year, locking them up, getting them out. In the old days, in the old homes where you had those little weep holes, which was for ventilation. They don’t have them anymore. [00:34:00] So it’s really down to you, to always open a window. That is your only option. Unless of course, if you put in some sort of ducted air conditioning system. But even air conditioning systems, they’re recycling the same air. If you close up your home and just put air conditioning the whole winter, or the whole summer, or whatever, you’re only just recycling dead air. It’s dirty dead air, around all the time. Stu: Exactly right. It’s like your aircraft, right? Somebody gets sick; everybody gets sick. Brilliant. CDLA. That’s my take home. Penny: Clean, dry, light, and air. So, that was the five. So, if we wanted to get into contact with you and get a little bit of an assessment, how would that work? [00:35:00] Well, I’ve got a fantastic website, which tells you lots of information. My phone number is on the website. I have a Facebook page. And I do two options, I provide a service where I’ll come out and do an assessment of your home. Or else, I’m happy for a much smaller fee, to do a Skype session with you, or a phone session with you. To go through your issues. I cover most of Metropolitan City. Obviously, if you’re in Canberra, we might go through a phone session. I live in sort of southern part of Sydney. I spend a lot of time the [inaudible 00:35:40] suburbs these days. And I do travel. I travel to lots of different places, but it’s time dependent, so. Absolutely, and I love the idea of that remote … I can almost see people walking around their house with their iPhone and showing you in cupboards, and things like that. Is that how it works? [00:36:30] There are those options, and they can do that themselves and send it to the lab, but they’re not going to test it in the right way. They’re not going to have the equipment that I have. I have a calibrated machine, where I’m taking in a certain amount of air, 15 liters of air per minute for five minutes on a calibrated machine, so it’s much more controlled. Yes, people can send scrapings in, and there’s other ways to do that, but having someone that understands [inaudible 00:36:52] science. Sure. [00:37:30] I don’t like … I like to be honest with customers. I like to be respectful in their home. And I don’t want to ever push a customer into doing something that they’re not comfortable in doing. No, I’ve got it. So, sorry we’re going to have put that dog down, because he’s bringing all that dirt into your nice clean home. So if there’s a situation, which is non negotiable in someone’s home, then we would just have to work around the best we can. [00:38:00] You’ve got to remember, they’ve invited you into their home, and there’s times where you have to be a little bit stronger than others, but you have to inform people of what they need to know. And then you can’t force them into doing it. You just have to advise them of the best actions. Sometimes people just don’t have the money, or they don’t have the where with all to take on such a big project. [00:38:30] At the moment I’m doing a house where I’m literally packing out the entire house. And I’ve been through that where I’ve got … It’s like they walk out and they go somewhere else with a handbag and two changes of clothing. Everything else is gone. And they don’t see it for a month, two months. (silence) [00:39:00] The best piece of advice I’ve ever been given, is be flexible in life. Don’t ever think that you can do everything your way, because that’s never going to happen. So, flexibility in your attitude and approach to life. Www.MouldRescue.com.au, or else you can track me down and stock me on Facebook, and contact me that way. (silence) Yes. Fantastic. [00:39:30] So, any other questions that you have? My neighbors think I’m nuts. They think, “This is a crazy lady.” Because I often leave kitchen cupboards open. It’s another one of those things where, you leave cupboards closed all the time. So once a week, or once every so often, I’ll just leave all my windows … If it’s a beautiful sunny day, or windy day, I’ll open all my laundry cupboards. Leave it all open. Give it a bit of a flush out. Just air it out. Penny: Just air it out. If you manage your moisture, you manage your mold. There’s a T-shirt right there. Brilliant, excellent. I’ve really enjoyed this, Penny. Thank you, and we will look forward to speaking to you in the future. Brilliant. Thanks Penny. Bye Bye.